This investigative documentary follows two women as they work to unravel the mysterious disappearances that tormented the Lewis Clark Valley in the 1980s. The most chilling part of these cases? Investigators are certain who the killer is, but no one has been able to gather enough evidence to confidently prosecute him. This Person of Interest is alive and living as a free man today. Now Detective Jackie Nichols and Gloria Bobertz enter the scene. Desperate to prove the Person of Interest is guilty, Nichols and Bobertz dust off the case files, track down old witnesses and pursue new leads. Chronicling the details of their exhausting and often thankless investigative journey, Cold Valley shows the fierce determination it takes toÂ hunt down a man who has evaded justice for nearly four decades. Between 1979 and 1982, five young people vanished in the small Lewis Clark Valley area along the Washington and Idaho border. 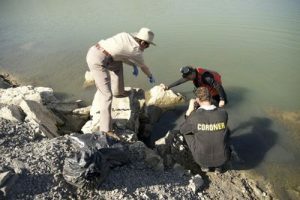 To this day only three of those bodies have been found and the other two disappearances remain a mystery. The local police worked for years to find the culprit, but with minimal evidence and no leads, the cases were shelved. 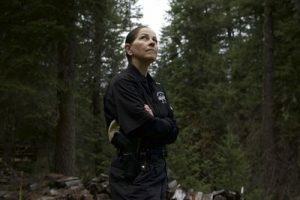 Nearly 40 years later, Asotin County Sheriff Detective Jackie Nichols feels a personal obligation to revisit these cases — and she will leave no stone unturned. Nichols has spent countless hours in the pursuit of truth and the clues all point to one man. She knows his name, but she can reveal it until she is sure she has the evidence to prosecute him in a court of law. Nichols has one last chance for justice and time is running out. Joining Jackie on this hunt is Gloria Bobertz, a cousin of one of the victims. She has dedicated her life to finding answers, tracing the Person of Interest every move in the hopes of revealing that he has committed crimes across the country. Her exhaustive research has unearthed new clues, including a trail of additional dead bodies that appear to follow the suspect from one city to the next. Despite their extensive list of circumstantial evidence, both women know that they need something more concrete to bring the suspect to court. Will Nichols and Bobertz find the direct evidence they are looking for or will all their time and research be for nothing? Cold Valleydocuments the hot pursuit for a killer who has evaded justice for decades. I had the chance to speak exclusively with series executive producer Ron Simon and producer Paul Kilback about how these cold cases came to their attention and how they got so many people to participate in this documentary. TV GOODNESS: How did you hear about these cold cases and what was it about them that made you want to make this piece? When he pitched it, we said we like the idea, following a real detective, a real life story, something that’s unfolding as you’re going. To me, the thing was everybody knows who it is, but they can’t do anything about it. How does that happen? I want to know how can they know who it is? How can this person be connected to all these different crimes and yet is still free? TV GOODNESS: I was really impressed by the family, the friends and the members of law enforcement that you talked to. How did you get them to participate? Kilback: “You know what? It wasn’t hard at all. I remember when we first went there to meet Jackie and some of the other key characters. We were in the town. Every single person, even though it’s 40 years after, knows what cases. They know what you’re talking about. It still reverberates there. It’s never left. There’s a lot of unfinished business, not just with the friends and the family. It’s also the locals. This is something that’s been in their lives for the last 40 years and unresolved. Everybody we approached wanted to participate, wanted to do what they can to help get the cases solved. I think they wanted people to remember who the victims were. Often in true crime, it becomes about the case. It becomes about the perpetrator. These are real people. This happened to people’s daughters, their cousins, you know? These are people who they all went to school with. Kilback: “To be clear, they’re not all local. A lot of the family relatives live in other parts of the country and they came to us to be part of it. They wanted to be part of it. I think it’s important to note that one of the investigators, Don Schoeffler, who was the original investigator of the Lewiston Theater case, when we reached out to him, he was just given the prognosis. He only had a couple of months left to live. He said it’s very important that he talked about this case before he died, because he feels like there was no resolution. Even for him, it was a much bigger deal. He actually became the first we shot, because his health took a bit of a turn.It was amazing, just the story he told, and how important it was. Just a few weeks later, he passed away. Part 1 of Cold Valley premieres Thursday, November 29th at 9/8c on Investigation Discovery. Click here for Part 2 of my exclusive Q&A.